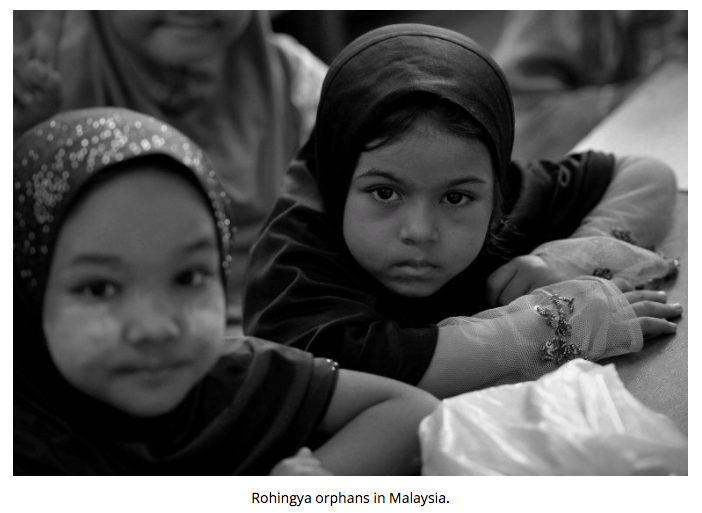 The plight of the Rohingya once again dominates international media headlines. But even though Suu Kyi is reluctant to stop the attacks, geopolitical interests are likely to prevail over any desire to take punitive action. On August 25th, the Arakan Rohingya Salvation Army (ARSA) attacked security forces in Rakhine state, killing 12 officers. Myanmar’s military responded with ‘clearance operations’ which have forced approximately 400,000 Rohingya Muslims over the border into neighbouring Bangladesh where they now live as refugees. Myanmar’s de facto leader, Aung San Suu Kyi, besides accusing the media of distorting the facts, has maintained a deafening silence throughout the Rohingya crisis.Nevertheless, despite growing scepticism concerning her political values and conviction she remains vital to Myanmar and to the west going forward. The common argument for Suu Kyi’s reticence on this issue relates to her limited influence over the junta. Deeply distrustful of Suu Kyi, the junta amended the constitution in 2008. These amendments prohibited her from becoming president, reserved 25% of parliamentary seats for military personnel (preventing her party, the National League for Democracy (NLD) from making further constitutional amendments), placed the military in control of defence, home affairs and border affairs, and enabled them to dissolve parliament in case of a ‘national emergency’. Given Suu Kyi’s history of captivity, after prevailing in the 2015 election, she understandably made assurances that she would not provoke her former captors.Nevertheless, given the severity of the reported atrocities, this excuse will not hold water for much longer. If her stance on human rights was truly genuine, by now she should have taken a stand regardless of the junta. Although implementing the Kofi Annan-led Advisory Commission’s recommendations – which includes scrapping restrictions on Rohingya movement and citizenship – appears difficult given the junta’s power, she should at least steer the debate in this direction. According to this view, Suu Kyi has one key bargaining chip with the military – the international legitimacy she provides the regime. The generals may view added leniency towards the Rohingya as a small price to pay in order to benefit from continued investment and positive engagement from the international community. Forcing the junta’s hand would be a display of strength and would influence the military to moderate its actions and perhaps cede more power to the NLD. However, other analysts take a different view of these recent events. 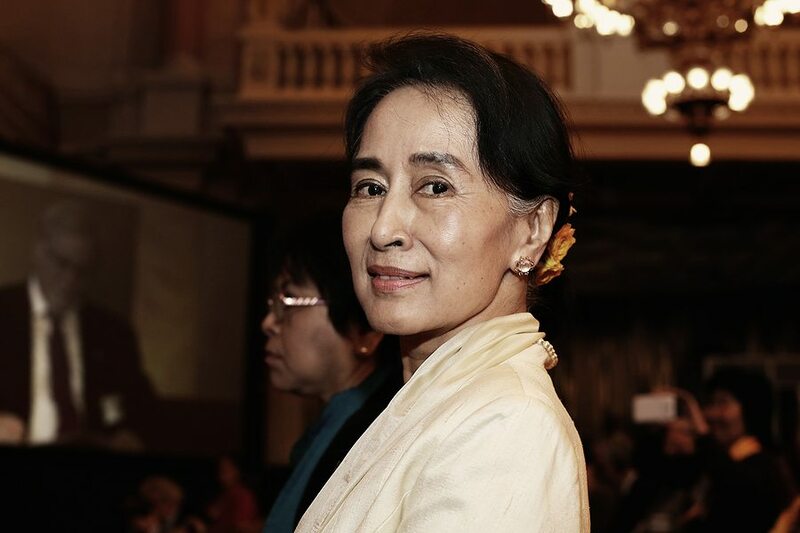 According to Basit Mahmood, Suu Kyi’s image as ‘the Oxford educated saviour of Burma’ is overstated and inaccurate given her views of and actions towards the Rohingya, both of which reflect ‘the very opposite response of what many expected of a Nobel Peace laureate’. Suu Kyi was recently accused of manufacturing anti-Rohingya sentiment on social media. Her Facebook page published one post accusing aid workers of feeding Muslim militants and another depicting Hindi civilians apparently killed by Muslims in Rakhine state. By shifting the blame to aid workers, it is clear she does not want the Rohingya to be portrayed as victims. Instead – mirroring the junta’s approach – she views them as synonymous with ARSA, which commands growing territory and support across the region. Also noteworthy is Suu Kyi’s consent last year to remove sanctions targeting generals, security forces, individuals and companies supporting the regime. Previously, it had been agreed that relaxing sanctions wouldn’t occur until Myanmar’s undemocratic 2008 constitution was altered. Suu Kyi had defended sanctions as a means of maintaining pressure, deterring the powerful generals from committing democratic and human rights abuses. Her consent to their removal was thus surprising, as it sacrificed her political leverage and left her vulnerable to allegations that she endorses the junta’s agenda. One explanation for this about-face is that Suu Kyi has become a puppet of the generals, positing that the junta have feigned political cooperation in order to project a democratic ‘face’ and get sanctions lifted. Whether or not this is accurate, Suu Kyi is certainly coming to understand the limits of her own power. Her party understands that its mandate predominantly involves Myanmar’s economic reform – a sentiment that is likely being reinforced by western diplomats and donors.The junta chose to attract foreign investment by transferring more power to a civilian government as part of the country’s transition to democracy. But they did so on their own terms. 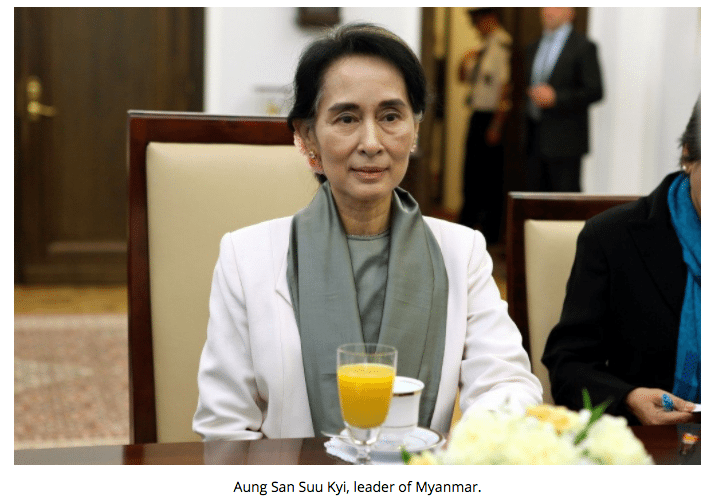 Suu Kyi’s political security thus depends on an acceptance of the Rohingya’s current treatment, an unfortunate reality reinforced by the priorities of her supporters and the power of Buddhist nationalists. 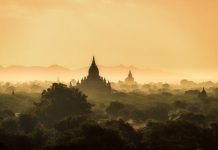 In Myanmar, anti-Muslim sentiment is potent, dating back to the late colonial period and the rise of Buddhist nationalism. This movement remains strong, reflected by influential monks like the firebrand Wirathu, who warned he would block any reconciliation efforts towards the Rohingya. This rhetoric has been absorbed by Myanmar’s majority Buddhist population, for whom the structural inequalities and discriminatory practices harming the Rohingya are not concerns. More important for them is economic reform; the NLD risks losing its base ahead of the next election if it fails to implement these reforms. The muted response of the US will likely encourage Suu Kyi’s inaction. Washington is officially wary of involvement for fear of harming Myanmar’s economic and political progress. Ideally, the US would take the lead in penalising Myanmar by would reintroducing sanctions targeting not just the junta, but national financial institutions, imports and foreign investment. But it will not rush to take unilateral action: in the geopolitical game being played by the US, the Rohingya are unfortunately less important than US economic and strategic interests. As part of its ‘pivot to Asia’, the Obama administration invested hundreds of millions of dollars in cultivating democracy and development in Myanmar and backed the NLD’s rise to power. 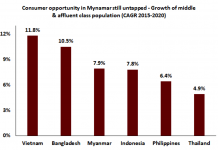 US companies have played an important role in driving economic growth in Myanmar; total investment in the country is set to double by 2020 due to expected banking and financial reforms. Much to the dismay of human rights campaigners, the US Senate recently passed an amendment to the National Defense Authorization Act (NDAA) that strengthens US-Myanmar military ties, allowing for the transfer of expertise and training and (more importantly) strengthening Washington’s position in the region. The US stance undermines that of the UN, which branded Myanmar’s military operations a ‘textbook example’ of ethnic cleansing (a sentiment echoed by Bangladesh’s foreign minister). Resolutions have been adopted by the UN and European Parliament, but if not reinforced with decisive action they will prove meaningless. The UN’s weaknesses have already been exposed by Myanmar’s refusal to grant permission to its Human Rights Council (UNHRC) to investigate the situation in Rakhine. Meanwhile, the Rohingya crisis appears to be splitting ASEAN along religious lines. The UN Security Council is additionally unable to impose sanctions, given that China is a permanent member of that council and would likely veto any such attempt. China has a vested interest in working with Myanmar’s regime and is unlikely to take actions that might spoil this relationship. Similarly, India’s decision to cooperate with Myanmar is likely motivated by geopolitical concerns – India is competing with China for influence in this strategic market. Overall, tackling this infinitely complex crisis requires a pragmatic approach. Suu Kyi will continue to justify her political decision making with reference to her struggle against entrenched military power. At the same time, she will certainly take strength from the nation’s indifference towards the Rohingya. For lack of any better option, the west may continue to support Suu Kyi, particularly with regard to economic reform, viewing sanctions – or any punitive action – as counterproductive in the short to medium term.